The official game of the UEFA EURO 2016 tournament available on April 21st for PlayStation4 and PlayStation3. 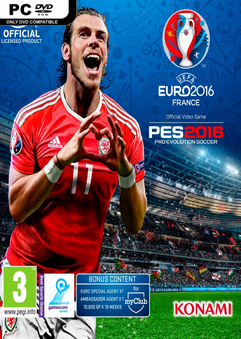 Contains both the full PES 2016 game and UEFA EURO 2016 content. The UEFA EURO 2016 mode will feature full iconography and presentation elements from this year’s tournament, and also includes the Stade de France stadium, which hosts the final in July. The latest online update will introduce the newly added UEFA EURO 2016 mode. Note: This is made standalone and based on Pro Evolution Soccer 2016, fully updated, all DLC packages and featuring datapack 4.0.